It is easy to see why Kerala is often referred to as 'God's Own Country'. It enjoys a unique geographical position between the mountains of Western Ghats and the turquoise waters of the Arabian Sea. With a long shoreline of un spoilt serene beaches, tranquil stretches of emerald backwaters, exotic wildlife, waterfalls; it is no wonder that Kerala has been named as one of the ten paradises of the world by the National Geographic Traveller. If flying in, Kerala can be accessed by two international airports, one in Kochi (Cochin) and the other in Thiruvananthapuram (Trivandrum). If travelling from the UK, there are currently no direct flights into the Kerala region; flights from UK would go via Muscat, Bahrain, Kuwait, Abu Dhabi or Dubai. Alternatively, and perhaps more commonly, international flights can be taken into Mumbai, followed by a domestic flight into either Trivandrum or Cochin. Travellers coming from Goa or North India may come into Kerala via Train. This is typically the most preferred option as there are no direct flights between the two states. A number of trains originate from Delhi, Rajasthan, whilst most start from Mumbai. Trains pass through Goa before making its way to Kerala. The ‘Thiruvananthapuram Rajdhani Express’ offers super-fast train service to Trivandrum with multiple sleeper coach options (1AC, 2AC). The food found in Kerala is very different to the food found in the northern parts of India, with the choice and style of cooking closely linked to the regions history, demographic and geography. Taking each one in turn; historically, Kerala has been the centre of the spice trade for over a thousand years. As a result, the cuisine makes good use of a variety of spices including cinnamon, cloves, black pepper, ginger and cardamom. The abundant growth of coconuts has meant that coconut, either in milk or grated form, is the central ingredient, used for both flavouring and thickening. Freshly cut coconuts providing Coconut water, an extremely healthy soft drink, is available in every town and village. 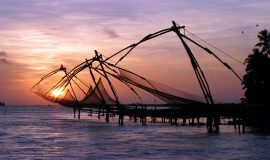 Kerala's long coastline and network of rivers has spurred a growth in the fishing industry, making the regions cuisine a haven for seafood lovers. Speciality dishes include huge tiger prawns, crab, lobster and fish. The regions varied communities and religions add yet another interesting dimension, with each creating its own distinct dishes. Vegetarian dishes such as rasam, dosa's and avial tend to be recipes drawn from Hindu communities, whereas the Christians and Muslims tend to specialise in the non-vegetarian dishes. The famous biriyani rice dish, cooked with meat, onions and spices is a real Muslim culinary delight. With the abundance of fresh spices, a variety of vegetables and rivers and seas providing the freshest fish, it is no wonder Keralan Cuisine is one of the most popular in India. The region of Kerala exhibits a tropical climate with varied seasons. Due to its geography, there are also marked differences in the weather between the coastal areas, which have temperatures ranging from 28 - 35C, and the mountainous areas, which rise to 6000 ft. and has temperatures ranging from 20-28C. The best time to visit is between October and March as the weather tends to be sunny and dry with 8-9 hours of sunshine. December to February is the most optimal time, but this is also the peak season. March until May forms the summer period with the weather tending to be hot and humid along the coastline, but still very pleasant within the mountainous areas such as Munnar and Ooty. The monsoon season typically starts in June and tails off by September, with October and November having the occasional evening drizzle. The state is also considered to be one of the safest regions of India. Incidents of local people cheating tourists are almost non-existent. As with the rest of India, Hindu's makes up the majority of the population (at 60%) followed by Christians and Muslims (making up the remaining 40% of the population). Hinduism, considered the oldest religion in the world and natively known as 'Sanathana Dharma' (the eternal law), is considered more as a way of life, as opposed to a religion, and is based on the teachings and principles found in ancient sacred text such as the Vedas, Puranas and epics such as the Mahabharata and Ramayana. Contrary to popular beliefs, Hinduism is a monotheistic Religion, believing in one supreme God, called the Brahman. The multitude of Gods that appear in Hindu temples represent aspects of Brahman, for example, the Hindu God Vishnu, represents the preserver aspect, Shiva represents the destroyer aspect, and so forth. Finally, some Proof of where you will be staying in India. This could be booking confirmation or a letter from your hotel confirming you are a guest. The best place to purchase the SIM is at the airport on arrival to India, from the mobile phone kiosks, which are located immediately after you clear customs. The SIM, costing approximately Rs.550, can usually be purchased immediately so as long as all the documentation is handy. Once the purchase has been made, a final verification step requires a confirmation call, usually within 24 hours, requesting you to verify the details you provided in the application. Alternatively, the SIM can also be purchased at the stores of the cell phone vendors, which can be found in shopping malls or down town shopping areas. Helpful tip: if you are traveling throughout India in multiple locations, a SIM card would need to be purchased in each location. To avoid having to pay each time (not to mention the admin!) it is recommended that roaming is active on the initial purchase. The principal language of Kerala is Malayalam, 96% of the population in Kerala speak this language. English is also widely spoken and is taught alongside Malayalam in most schools. Set within the tropical Malabar Coast, within the state of Kerala, Cochin or Kochi includes a natural harbour surrounded by a collection of islands interconnected by backwaters and lagoons. The city is split between Ernakulam on the mainland and the historic district of Fort Cochin across the water, which is lined with colonial bungalows and alleys. Historically significant as a major centre of commerce, Cochin has drawn in Arab, Chinese and European traders and explorers for over 600 years. Cochin's rich historical past resonates throughout the city with many sites still reflecting those influences. Fort Kochi, granted by Rajah of Kochi in 1503 to the Portuguese, is lined with some of India’s oldest colonial buildings. The Dutch, French and British all settled in Kochi making it a real potpourri of international and Indian cultures. The Saint Francis Church, built in 1503, is the oldest European church in India and provides a fascinating example of colonial Portuguese architecture. The famous Vasco-da Gama, the first European explorer to re-establish Indian trade links since the Romans, has been buried in this church, with the tombstone still visible. Set within Fort Kochi’s north-eastern shore, the iconic Chinese fishing nets provide a glimpse into the historical past. Still widely used, the nets had been erected between 1350 and 1450 when the Chinese came to the region. In fact, the theory goes that the name ‘Cochin’ derived from the meaning “like-China”. The Paradesi synagogue, constructed in 1567 by Spanish-speaking Jews, is located in the old quarter, known as ‘Jew town’. Featuring a number of objects of antiquity, such as an ornate gold pulpit, gold crowns, a Belgian glass chandelier and hand-painted Chinese floor tiles, the synagogue is open for visitors for a small fee. The Jewish town itself is famous for many antique shops and colonial buildings. The Dutch Palace, or otherwise known locally as the ‘Mattancherry Palace’ was actually built by the Portuguese in 1555 and gifted to the then King of Cochin, as a way of establishing trading relations (The Dutch merely renovated the building in 1663, hence the alternative name). The palace is built using the traditional Keralan style, with four separate wings and a central courtyard in the middle. The key attraction includes a fascinating collection of mural paintings covering 100 square meters depicting scenes from the Mahabharata, Ramayana and the Puranic legends. The palace is also home to the collection of royal furniture, portraits and weapons. Cochin International Airport provides a convenient entry point into Kerala for those travelling from international destinations. It was British statesman Lord Curzon who described Alleppey as the 'Venice of the East’. With its labyrinth network of waterways, paddy fields and coconut groves, this is the perfect spot to relax and enjoy a water side escape. 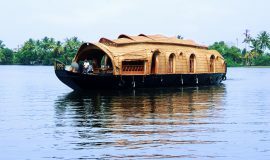 Alleppey also is also the starting point for the traditional Kerala houseboat cruise. Lying parallel to the Arabian Sea coast, a mesmerising network and chain of interconnected lagoons, lakes and canals extend virtually the entire length of the Kerala state. This network, which links 1500 km of canal to five large lakes, is known as the Kerala Backwaters. The landscape hosts a number of key villages, which provides the start and end points of Kerala's world renowned backwater cruise. The town of Alleppey is the departure point from where you will board the ‘Kettuvallam’ (traditional Kerala houseboat). Traditionally used as grain barges (for the transportation of rice harvested in the fields alongside the backwaters), the boats have been upgraded to one or two-bedroom luxury floating cottages, with the comfort you would expect in a modern hotel. Each of the air-conditioned bedrooms have an en-suite bathroom and a large picture window from where the outstanding scenery can be enjoyed. Sunbathing on the deck whilst observing the palm fringed landscape is the perfect way to spend the afternoon. The journey starts with you boarding your private houseboat just before lunch. Freshly prepared Keralan cuisine cooked on board by chefs is part of the Kerala house boat experience. Meals (including lunch, dinner and breakfast) are freshly prepared using the finest spices, ingredients and freshly caught fish. Once on board, you will spend the afternoon meandering slowly and peacefully through the numerous palm fringed canals and open paddy fields. Later, you will take a canoe excursion, gliding you though some of the smaller backwater canals where you will get a glimpse and charm of everyday life, from people fishing to families washing and working on the banks. As the sun sets, you will again enjoy a freshly cooked dinner before retiring to an air-conditioned cabin. The journey typically ends in the village of Kumarakom, on the edge of Vembanad Lake where visitors will typically spend a couple of nights after their cruise. Spending a night or two on board the Kerala houseboats is an experience not to be forgotten. The Village of Kumarakom, set on the backdrop of the Vembanad Lake, is a made up of cluster of picturesque little islands that form part of the Kuttanad region. 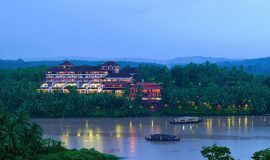 Covered with lush green vegetation and being on the footsteps of the gorgeous Kerala backwaters, the area is teaming with aquatic and avian wildlife. The key highlight is the Kumarakom Bird Sanctuary. Covering 14 acres, the area is a favourite haunt for a number of species of local bird species such as the Kingfisher, as well as migratory birds such as the Siberian Stork. 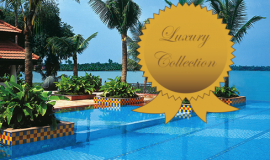 With numerous luxury hotels dotted around the lake, Kumarakom is the perfect location to spend a few days relaxing. Eravikulam National Park - set within an area covering 97 sq. km and dotted with rolling hills offering magnificent views of the tea plantations, the park offers great trekking and walking routes. The park is also home to several rare species of butterflies as well as the famous endangered inhabitant, the Nilgiri Tahr. Anamudi Peak located inside the Eravikulam National Park and standing at 2700 m, is the highest peak in South India. Mattupetty - located 13 miles from Munmar and situated 1700 m above sea level, the town of Mattupetty offers pleasurable boat rides on the beautiful lake, which itself is surround by graceful hills and landscape. Pallivasal is 3 km from Munnar and a place of immense scenic beauty making it a popular picnic spot. Chinnakanal is home to the popular waterfalls known as Power House Waterfalls. 2000 m above sea level, the spot is popular to enjoy the scenic views of the Western Ghat. For those seeking further adventure, a trek through the Chinnar Wildlife Sanctuary and Marayoor Sandal Forrest with a tribal guide can be arranged. Travelling a further 7 km from Chummakana brings you to the town or Anayirangal, which is carpeted with lush green tea plantations enclosing the splendid Anayirangal dam. Top Station - at 1700 m above sea level, Top Station is the highest point on the Munnar-Kodaikanal road offering incredible panoramic views off neighbouring Tamil Nadu. Tata Tea Museum - with the view of showcasing Munnar’s legacy and the origin and evolution of Munnar's tea plantations, the Tata Tea Museum was set up some years ago within the Nallanthanni Estate. The museum houses memorable photographs and machineries, which provide a glimpse into the origin and growth of tea plantations in Munnar. Poorvar is located at the southern end of Trivandrum, marking the end of Kerala. The area was historically a centre of trading for timber, sandalwood and spices. King Solomon of Israel was known to have sent trading ships as far back as 1,000 BC! With its serene back waters and golden beaches, Poovar has become popular tourist resort. The Poorvar Island Resort, in Poorvar, is a modern tropical paradise set within spectacular natural paradise, surrounded by lush green vegetation and emerald backwaters. 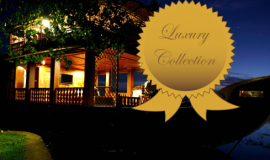 This charming Ayurvedic resort also offers the choice between land cottages and floating cottages for accommodation. 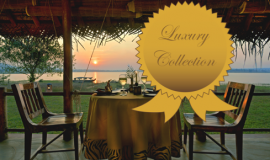 The remoteness and ambient surroundings of this resort will guarantee a truly enchanted experience. Spice Plantation- Kerala, historically known for its spice trade, is home to a number of spice plantations. Thekkady is home to one of the largest plantations in Kerala. Spices such as cardamom, cloves, cinnamon, nutmeg and pepper are cultivated in sections of each plantation. The spice plantation visit provides tourists with a fascinating insight into the growth, harvest and processing of the various spices. Elephant Safari- There is nothing more thrilling than spending time with the beautiful and gentle Indian elephant and there is no place better than the Thekkady Elephant safari. The park offers visitors a rare 30 minute opportunity to gently breeze through the spice-centred plantation. Boating- Taking a boat ride on the scenic Periyar Lake is the best way to watch the various terrestrial aquatic and subterranean wildlife. The lake, formed by the construction of a dam in 1985, harbours a unique and rich aquatic ecosystem. Green Walk- The 'Green Walk' is for the true nature lovers. If you want to get up close to nature, hear mixed flock of birds calling out, smell the wild fragrant flowers, and walk through enchanting greenery, this 4 to 5 km trekking route is the right program for you. The three hour trekking programme, accompanied by a tribal guide, starts from the Tiger Bungalow and passes through evergreen forestry and marshy grassland, traversing diverse habitats and offering excellent opportunity to see and hear both the wildlife and fragrant wild flowers. Hiking and Bamboo Rafting- This dawn to dusk hiking and rafting programme takes travellers through Periyar Tiger Reserve, though some of the most charming and richest part of the forest. The program consists of 10 km walk followed by 3-4 hours of rafting in the famous in the Periyar Lake. Keeping close to the edges of the lake, the rafting offers panoramic views of the forest-clad hills, as well as opportunity to spot animals such as elephant, sambar and gaur. Travellers are provided with a forest guard and guides. Puthan Maliga Palace Museum- This two-story beautiful palace is located near the Sree Padmanabhaswamy Temple and forms part of a vast network of royal buildings. The palace was built in the 1840s, by the Maharaja of the Travancore kingdom (Svāti Tirunāḷ Rāma Varma), using teakwood, rosewood, marble, and granite and in traditional Kerala architecture. A portion of the Palace has been converted into a museum and has on display a priceless collection of royal assets. This includes royal paintings, traditional furniture, Italian and Belgian mirrors and other artefacts. Padmanabhaswamy Temple- Located inside the East Fort, the temple is built with a fusion of both Kerala and Dravidian style architecture. 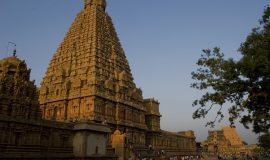 The temple has been mentioned in ancient Hindu text, such as the 13th century Brahma Purana as well as the earlier Sangam Period literature, dated between 500 B.C and 300 AD. The century’s old Sree Pasmanabhaswamy temple is also famous for being the wealthiest temple, institution or place of worship in the world. Secret vaults containing statues, gold, and jewels have recently been unearthed, containing wealth estimated to be in the region of $22 billion. The origin of the wealth has been a mystery but its long been known that profits from the 2000 year old spice trade were accumulated and stored in the temple vaults by the Kerala’s kings. Roman, Dutch, Napoleonic and Mughal coins found as part of the hoard seem to support this theory. In the sixteenth century, the Portuguese and the British complained of too much of the New World gold going to India. As it stands, only 5 out of the 8 vaults have been opened. The complaint, it turns out, is well founded! Kovalam - set on the southern tip of Kerala, Kovalam is perhaps the most popular and developed beach resorts. The 17 km crescent shaped golden coastline is actually made up of 3 coves, separated by rocky outcroppings. Lighthouse Beach, named for its old and famous 35 meter high Vizhinjam Lighthouse and promenade lined open air restaurants is perhaps the busiest beach. The beach offers excellent water sports and actives for the adventure seeker such as parasailing, surfing and paragliding to name a few. Hawa beach, (also known as Eve's beach), is located opposite to the Light house beach and is claimed to be the most beautiful beaches in Kovalam. The beach is an active shore and watching the native fisherman out early each morning hauling in their catch is a true morning delight. Samudra beach is a little more secluded with its isolation providing a sense of serenity that is not found on the other beach. Located around an hour’s drive from Kerala capital Trivandrum, a stay at Kovalam provides an excellent opportunity to visit the rich culture and history of Trivandrum without the noisy howls and rushes of a city. Varkala Beach – located around 50 km from Trivandrum, lined with golden sands and blossoming green vegetation, is a popular tourist spot in Kerala. The laterite cliff provides a breath-taking view of the adjoining beach. A paved pathway and cliff walk, constructed by the Keralan government, provides a pleasant stroll and excellent view from where to watch the setting sun. The beach itself has much to offer with facilities such as sunbathing, swimming and boat riding. The area is also a popular region for Ayurvedic treatments and therapeutic massages. Varkala is also a shopper’s paradise. Peppered with markets and small shops lining the cliff front, travellers can purchase items from all over India from fine Kashmiri shawls to Tibetan handicrafts. The history of Kerala can be traced as far back as 10,000 BC with the rare Stone Age carvings in the Edakkal Cave (discovered by Fred Fawcett) providing evidence and presence of a prehistoric settlement. The cave paintings depict Dravidian symbols that are akin to the Indus Valley Civilization. From 3000 BC onwards, Kerala established itself as a major trade Centre, exporting spices across the Arabian Sea in places such as the Red Sea, Mediterranean and the Far East, making the Keralan port one of the busiest travel and trade routes in the world. Kerala's historical ties to commerce and trade meant the region was undoubtedly host to cultures and communities from all over the world. The Romans, Greeks, Romans, Arabs, Chinese (and recently the Europeans) all influenced the Keralan culture in some form. Evidence of this can be seen in the Keralan architecture, cuisine and literature. Christianity is thought to have arrived in AD 52, with the arrival of St. Thomas (known to be one of the disciples of Jesus). He was known to have established 7 churches, 4 of which exist today. The St. Thomas Syro-Malabar Catholic Church, in Kerala established by St. Thomas, is thought to be the oldest church in India. The Christians in Kerala, who trace their origins to St. Thomas, are known as the ‘Syrian Christians'. Christianity has had a huge influence to Keralan culture, architecture and demographic, it now accounts for 18% of the population. The Jewish link with Kerala is thought to have been connected with the Siege of Jerusalem at around 587 BC. Records indicate that numerous Jewish settlers arrived at an ancient port near Cochin. Later, in the 16th century, following expulsion from Iberia, Sephardic Jews made their way to Cochin. This community, known as the Paradesi, established a synagogue in Kochi in 1567. Located in the old quarter, in Cochin, the synagogue is thought to be the oldest in the commonwealth. The Jewish and Arab communities were thought have pioneered the spice trade with Kerala. In fact, commercial trading records between Kerala and Middle East indicate that Islam arrived into India through Kerala in the 7th century AD. Kerala’s colonial history can be traced to the 16th century when the King of Cochin permitted the trade between the Portuguese and his subjects. The ‘Mattancherry Palace’ or otherwise known as The Dutch Palace was built and gifted by the Portuguese in 1555 to establishing sound trading relations with the King (the Dutch renovated the building in 1663). The Palace, built using the traditional Kerala style, is a key tourist attraction in Cochin, displaying fascinating collection of murals paintings, royal furniture, royal portraits and weapons. The Portuguese established a number of fortresses on the Malabar Coast and continued to reign until 1571, when they were defeated by the Keralan King at Chaliyam fort. During the early 17th century, spice trade between Europe and India became one of the main types of trade for the European colonial powers, resulting in both trade, conquest and rivalries among the European powers. The disintegration of the Mughal and Maratha Empire in the early 18th century allowed manipulation by the Europeans, resulting in power being dominated by Great Britain and France in the late 18th century. The eventual defeat of the Indian ruler, Tipoo Sultan, finally laid the ground for rapid expansion of British Power all the way until India's Independence in 1947. The culture of the Keralan people has been influence by both Dravidian (South Indian) and Aryan (North Indian) cultures. The language of the Keralan people is Malayalam and the people are thus referred as Malayalee’s. The people of Kerala are proud of their traditional customers, rich history and cultural heritage and will go to great lengths to preserve it. The Malayalee’s generally lead a healthy and content lifestyle with emphasis on family, health, hygiene and education. Kerala is able to boast a 100% literacy rate, the highest in India. English is widely spoken and taught alongside Malayalam in all schools. The state has the highest literacy rate and level of education in the country, helping it to move from its agricultural and conservative background to a fairly liberal and open society, embracing new ideas and technologies. Being one of the centres of Ayurvedic treatment and medicine, the people of Kerala tend to seek treatment from a number of Ayurvedic treatment centres rather than opting for traditional medicine. Additionally, traditional homemade herbal remedies in the form of powers, oils and soaps are often used for general health. Throughout history, the area has served as a melting pot for the various communities that have lived, worked and traded in Kerala. This has had greatly influenced the local music, sports, architecture, literature and performing art. Classical musical of Kerala is dominated by ‘Carnatic music’, which is a system of music associated across the Southern Indian states. Songs that form part of the Malayalam literature can be traced to the 9th century CE. It is also one of the two main subgenres of classical Indian. Kerala also has its own native music system called sopanam, which is used as the background music to Kathakali performances (a form of classical Indian dance). The Kalarippayattu, or Kalari, a martial art form originating in Kerala is thought to be one of the oldest martial arts systems in existence, with evidence of its practice dating back to the Sangam literature, around 3rd century BC. The art form was historically practiced in central and northern parts of Kerala alongside Yoga and Ayurveda until it was suppressed during British occupation. Recently, the system has re-emerged with strong come back from Keralite’s while also gaining attention from martial artists and yoga practitioners from around the world. Malayalam literature, written in Malayalam can trace some its earliest literary work to the Ramacharitam, which is an epic poem written in 13th century. The 15th and 16th centuries saw rapid development of Malayalam literature, resulting in the evolution of Malayalam as a modern language. Further development in the 17th century paved the wave for a new form of visual art known as Kathakali. Kathakali, a form of classical Indian dance, originated in Kerala around the 17th century. The dance typically presents themes from the great Hindu epics such as the Mahabharata and Ramayana. It is no wonder that the word 'Kathakali' means "Story-Play"! Kathakali performers, traditionally always male, are easily distinguished by the elaborate costumes, face masks and colourful makeup, making the performance a recognised icon of Kerala. The Indian elephants in Kerala form an integral part of daily life and culture often given a prestigious place in state events as well as during weddings and festivals. We strongly recommend that you check the Foreign Office Website https://www.gov.uk/foreign-travel-advice/india before you travel, for useful and essential information. Please ensure you have adequate insurance, including comprehensive medical and repatriation cover, in place before your departure, covering the whole of your trip, for all your travellers. Please ensure that the insurance company have all of your accurate details including age, health, previous medical conditions and journey details. Take your policy number and 24-hour emergency contact numbers with you. If you have any doubts about your cover, check with your insurer. The e-Tourist Visa (eTV) application cannot be submitted earlier than 34 days before the date of arrival into India and no later than 4 days before arrival. An application for a traditional Indian Tourist visa can however be made several months in advance. It is advisable to consult with your doctor/nurse at your local surgery or travel health clinic as far in advance as possible. The required inoculations will vary, dependent on the regions you are travelling, the activities you plan to partake in and your history of inoculations. If you haven’t had all your inoculations previously, you may need multiple vaccinations over a number of weeks prior to travelling. You should at least be protected against typhoid, tetanus and malaria. Please visit https://travelhealthpro.org.uk/locations/india/ for more information. Although India has a reputation for health problems, some simple precautions will greatly reduce the likelihood of issues.